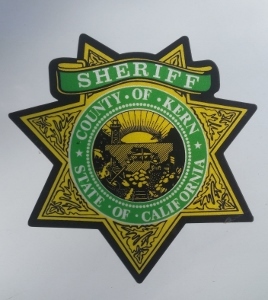 The mission of the Kern County Sheriff's Department is to work in partnership with their community to enhance the safety, security and quality of life for the residents and visitors of Kern County through professional public safety services. 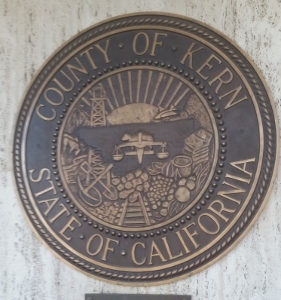 The Kern County Sheriff's Department is broken down into 5 specific areas, which are Office of the Undersheriff, Support Services Bureau, Detentions Bureau, Law Enforcement Bureau and Investigations Bureau. The Patrol Division, under the Law Enforcement Bureau, is composed of 8 sergeants, 7 senior deputies, 67 deputies and 8 civilian support staff. This division is responsible for responding to service calls and patrolling the communities. The deputies respond to criminal activity, civil matters and assist other departments, as needed. The Patrol Division is the face of the sheriff's department. There are 3 Deputy Sheriffs specifically assigned to school security. Their role is to provide security to the campuses located in the Greenfield School District and the Oildale School District. They also provide education to the districts. Along with the patrol cars, the Kern County Sheriff's utilize a bike patrol unit. Twice a week 2 to 3 deputies will be on duty in a less overt manner than with a vehicle. The Sheriff/Coroner/Public Administrator is Donny Youngblood, who was elected to this office in 2006. The subdivision Commander is Tim Melanson. A reminder from the Kern County Sheriff's Department is with the communities cooperation and input the department can effect positive change and enhance the quality of life for each and everyone one. The Kern County Sheriff's Department places substations throughout Kern County so the residents have easier access to the local deputies and the deputies can build closer relationships with the communities. Below is a list of all the main sheriff's station and the substations in Kern County. Click on the station or city name for contact information and Google Map.